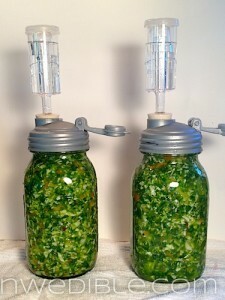 Totally awesome article from Nwedible on how she turned a mason jar into a fermenting crock. This is very cool for anyone that wants to lacto ferment a couple quarts of slaw or some kimchi or do some small batch brewing. Make your own mason jar fermenting crock and save some serious money over buying one.